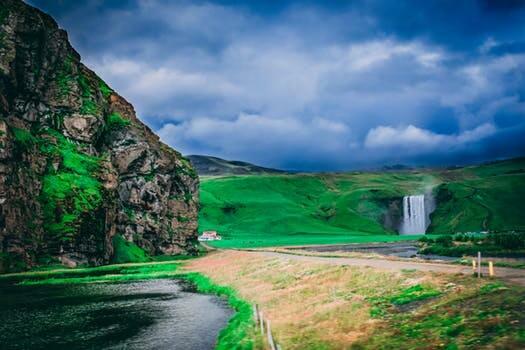 Iceland may be a small island, but it has much to offer. Here at Nicetravel, we offer a selection of multi-day tours with which to explore the magnificent country. Below are our summer tours. Note that while breakfast is included in all the tours, lunch and dinner are not, but we will be making stops where you can buy some. Our longest summer offering takes you on a whistle-stop tour around the most famous, and some of the less well-known, sights around Iceland. 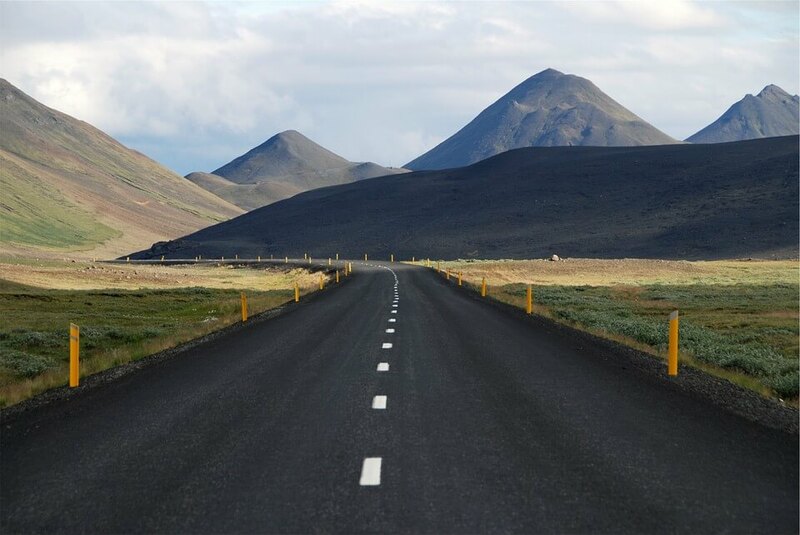 We pick you up at 09:00, and then follow Iceland’s Ring Road that circles the entirety of the island. The first day, closest to Reykjavik, we visit the Golden Circle and the Kerith volcanic crater. The Circle marks three particular tourist destinations. The first is Thingvellir National Park, which was the site of the first Icelandic parliament, the Althing. The valley itself is geologically notable, formed by the drift between the North American and Eurasian tectonic plates. After Thingvellir, we then proceed to Geysir, the original, the one that gives all others their name. Ten minutes away from Geysir is the third stop on the Golden Circle, the waterfall of Gullfoss. It makes for a most powerful sight, as the water drops twice into a crevasse. We end the day at the extinct volcano of Kerith, where the red crater outlines an aquamarine lake. The second day examines water in its various forms. 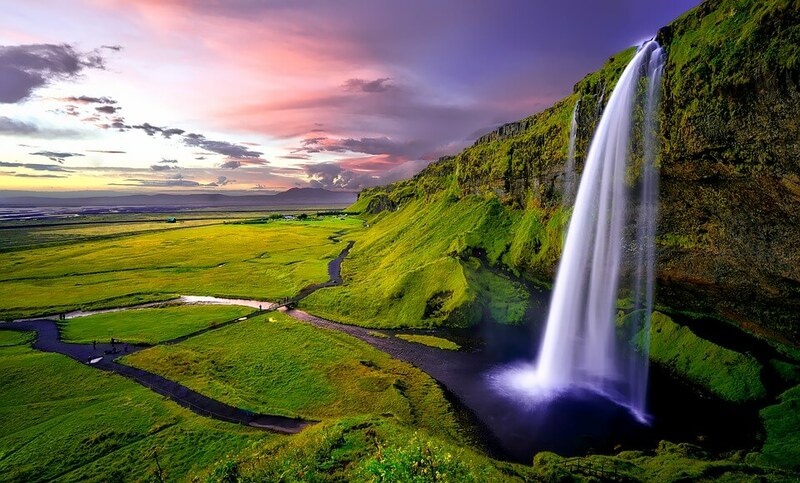 We first start with the notable waterfalls of the South, among them Skogafoss and the ‘secret waterfall’, Kvernufoss. After that, is the stark beauty of the black beach of Reynisfjara and its basalt columns. 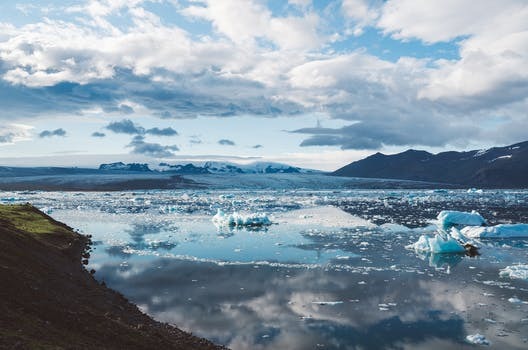 Then we examine ice, in the form of a glacier hike up Solheimajokull, and then we see what happens to the glacier afterwards with a visit to Jokulsarlon, the lagoon of glaciers, where icebergs calve off into the sea. The third day takes us along Iceland’s east coast, from the picturesque Vestrahorn mountain, along through Stokksnes and past the fjords of the coast. These make for a fascinating contrast of the high cliffs of the fjords opposite the fertile farms inland. Before we stop for the night, we also halt at the Petra Stone Museum, showing off Iceland’s mineral varieties. Our itinerary for Day 4 takes us to the north of Iceland, in particular visiting the most powerful waterfall in Europe, glorious Dettifoss. We then explore the sights around Lake Myvatn, in particular, Hverir and Dimmuborgir, taking in the waters, the volcanic rock formations, and the wildlife, before spending the end of the day at the Green Lagoon natural baths. The fifth day keeps us in the north, and our first destination is Husavik, the very best place to watch whales in all of Iceland. Twenty-three different species of whales are known to visit Icelandic waters, and most common near Husavik are humpbacks, minkes, and blue whales. After the whale watching, we visit the waterfall Godafoss, then on the way to our lodgings for the night, pass by the town of Akureyri, the biggest in northern Iceland. If Day 5 was about whales, Day 6 is about seals. We start with a photo-opportunity first, at the rock named Hvitserkur, and then proceed to the village of Hvammstangi. We’ll pass by the seal centre there first, where you can learn about the animals, before going to the coastline to actually see them. Once we’re satisfied with the seals, we then head for the Hraunfossar. In English, the name means ‘lava falls’, as the water flows across the Hallmundarhraun lava field and into the Hvita river. The remainder of the afternoon will be spent at Deildartunguhver, the highest-flow hot spring in Europe. The seventh day starts off with a figure right out of classic literature: Snaefellsjokull volcano and the glacier that covers it, notably chosen by Jules Verne as the entrance to the world below in his work Journey to the Center of the Earth. Following that, we head for the coast. Ytri-Tunga is a farm with a nearby beach known for its seals. We follow the harbour through the villages of Arnarstapi and Hellnar, taking in the rock formations and the cliff faces along the way until we reach the Bjarnarhofn Shark Museum. For those who like a challenge, there may be fresh hakarl available, prepared traditionally, if you’re of the mind to try out fermented shark. The last stop is Kirkjufell, the Church Mountain, which with its distinctive profile claims to be the most photographed mountain in all Iceland. Expect to be back in Reykjavik around 20:30 (08:30 PM). If a seven-day journey is too heavy for you, or if you’d rather do the rest on your own, we have some lighter offerings. Our three-day tour sticks to the south of Iceland, covering the same sights as the first two days of the seven-day tour. The first day is the same, visiting the Golden Circle and Kerith. The second day is devoted to the waterfalls, Solheimajokull, and the Reynisfjara beach, and we then shift Vatnajokull and Jokulsarlon onto the third day. It bears mentioning that the visit to Jokulsarlon features a boat ride, where you can see the icebergs up close. At the end of the third day, we return you to Reykjavik, generally getting back around 21:30 (09:30 PM). Our current best-selling trip is a two-day tour of the south. It’s the same destinations as the three-day tour, but we skip the first day and go straight for the waterfalls, Solheimajokull, and Reynisfjara on the first day, then go to Vatnajokull and Jokulsarlon on the second day. Don’t worry, we keep the boat ride on Jokulsarlon. Our budget option is the same two-day trip outlined above, only without the boat on Jokulsarlon. The lagoon is no less impressive being admired from the shore, because some icebergs wash up there for you to look at up close.